When I was in the planning stage of our Singapore vacation, I used the internet to scour for the best room rates I could find. We wanted a hotel which was not too lavish, but yet not too seedy. In addition, we wanted to stay somewhere convenient for moving around, especially with a little one in tow. Most of the hotels cost at least SGD200 and some did not even include the customary breakfast. Then I suddenly remembered my very first Nuffnang ad. An ad for Perak Hotel in Singapore! I contacted the hotel and they quoted me SGD148++ per night for a deluxe queen room, and SGD15++ per night to include a baby cot. However, when I mentioned the magic word “Nuffnang”, the room was ours for SGD148 NETT and the baby cot was included free of charge! Ain’t that great? They even threw in complimentary breakfasts… oh, and of course free wifi access. Perak Hotel is basically a bed and breakfast kinda hotel, not your 5-star luxurious retreat, but it prides itself in its comfort and homely furnishings. Many backpackers find this hotel comfy enough to rest their weary bodies after a long tiring day and so did we (well, except that on the 3rd night the air-conditioner started leaking a little. Thank goodness it was a one-off and it stopped after a few minutes) The hotel is situated right smack in the middle of Little India and unfortunately has no elevators. Bummer! We had to lug our 2 huge hard-case suitcases, 1 carry-on and Ethan up 2 flights of stairs to the 3rd floor, where our room was located. 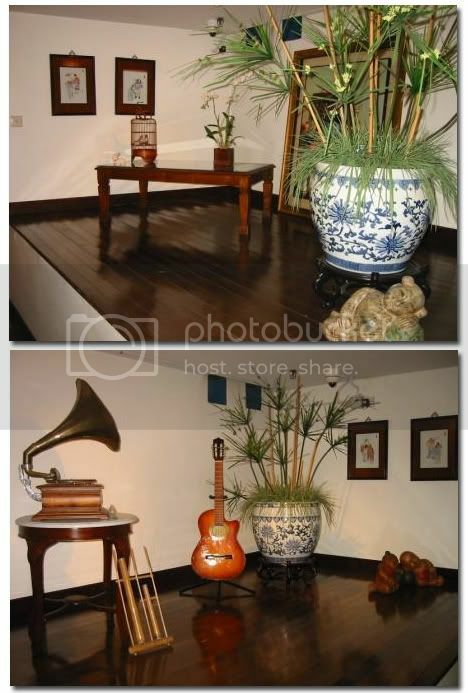 The room had wooden flooring, not timber strip flooring, but the olden wooden flooring. I bet it made a lot of noise when Ethan marched up and down 😛 We also had to make do with a queen sized bed instead of the regular king we had grown accustomed to at home, but it was comfortable and clean to say the least. All in all, we enjoyed a comfortable stay in Perak Hotel. The staff in the hotel were all really friendly and greeted us whenever they saw us. Although the downside was that we had to walk a good 10 minutes to the nearest MRT, coming back at night to the hotel located in a rather quiet street did not bother me one bit. I felt safe there. Perak Hotel enjoys countless testimonials from its guests who all have nothing but good things to say about it. And as for breakfast, although the spread did not equal that of a continental buffet breakfast, I am pleased to say that we had a hearty breakfast every morning of our stay there. Toast with butter, kaya, peanut butter or jam, hard-boiled eggs, either fried rice, beehoon or instant noodles, fruits, juice, coffee, tea and something that the luxury hotels don’t serve in their buffet breakfast: Milo. Don’t know about you but having Milo when I travel makes it feel like home. So this was what we called *home* for 6 days in Singapore. And it all began here. This entry was posted in Relax & Celebrate. Bookmark the permalink. Hey if you tell them you going to blog about the hotel, probably will give u another 50% discount. Nice place, looks clean too. The Giddy Tiger says: Probably I should send the hotel the link to this post, eh? The Giddy Tiger says: Yup, pretty decent place. Sounds nice. Oh but the stairs must have just killed ya. wow! $148 nett???? That’s quite ex for a hotel in Little India area though…. 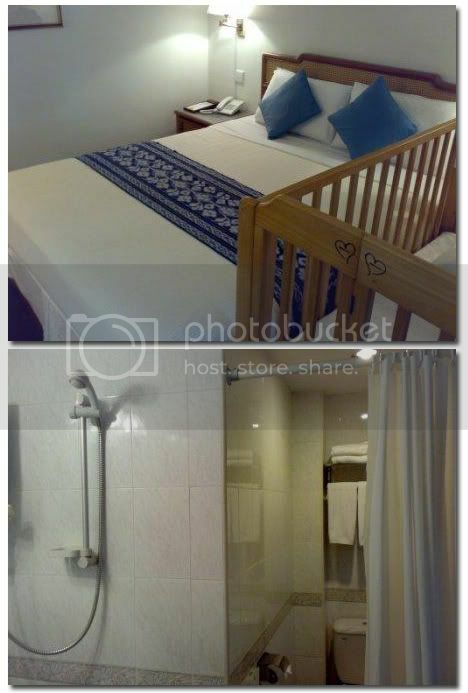 You should have gone to the Bencoolen Hotel… I think they charged much cheaper and they are located between City Hall and Bugis. The Giddy Tiger says: Other hotels were much more expensive (Singapore hotels are costlier compared to Malaysia’s anyway). Will keep that hotel in mind though. $148 sound so expensive to me……………. I plan to go in Dec, holiday season, don’t think I can get a cheaper price with the same amenities. The Giddy Tiger says: You can’t get it a lot more cheaper in Singapore, unless you are willing to sacrifice convenience and comfort, unfortunately. The hotel looks clean and cozy! Looks like blogging does pay off. I wonder what else I can get with Nuffnang? LOL! p.s. Maybe you should link back this post to Timothy Tiah’s website… who knows, you might get even more from Nuffnang? The Giddy Tiger says: My hubby has just corrected me that Perak Hotel is not a backpacker’s hotel (my mistake). It’s actually a 3-star hotel. hehe… anyway, hubby paid for it 🙂 I was just the designated planner and coordinator of our trip! psst… Here’s some blogging moolah for your next holiday! The Giddy Tiger says: Ooops! Another one! But thanks dear…will get to this one as soon as I find the space to breathe! Waaaa, I like that hotel already! I must stay there too, eh? Mention Nuffnang, was it? Heh… and no one tripped over those steps? The Giddy Tiger says: I think you will like it. But it’s nothing like the G in Penang, I would say. The Giddy Tiger says: Yup, it certainly did. Free wi-fi should be made available in ALL Hotels worldwide! looks cosy. Hehehe.. free advert for Perak HOtel. Judging from the name earlier on when I first see the advertisement, I thought the Hotel is in Perak, Malaysia. hahahha..
Perak Hotel is happy to note that The Giddy Tiger & Family enjoy their stay in the Hotel. Glad to inform everyone that Perak Hotel is being retrofited with new airconditioning system (quiet and cool, no more dripping) and soft furnishings. 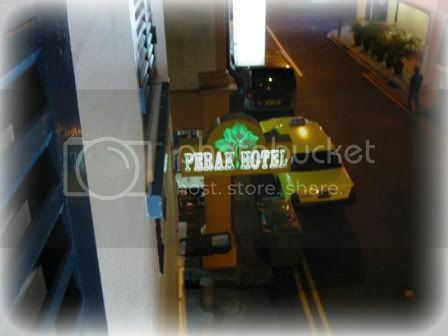 Perak Hotel is named after Perak Road, Singapore where it is located. We treat security of our guest very seriously. The auto sliding Entrance Door is disabled after midnight. Front Desk Officer manually opened the Entrance Door for guest and will hand over room key only after verification of guest status. And we hope to continue to provide free wifi in the Hotel. The Giddy Tiger says: Good to hear that enhancements are being made in the hotel for further improvement. Thanks for the excellent hospitality during our stay there. psstt….you didn’t say hi to the nuffnang Spore taukeh? ‘Cos I heard that’s his mom’s hotel. Hehehe. 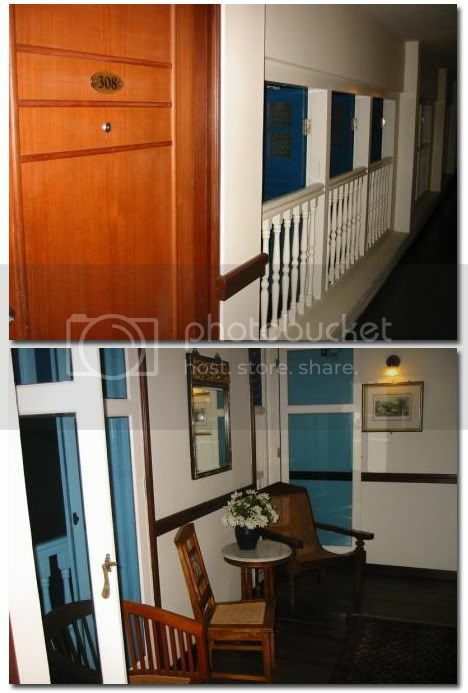 I love quaint hotels such as these, very romantic and cosy hor? Wow.. looks clean and quite spacious.. The Giddy Tiger says: Would you be interested in recommending that to them for me? Pingback: Giddy Tigers » Buh bye 2007, hello 2008!